Pipa the Latest: journal of a messy crafter: Let it snow! Not a big deal, I know, but it is for us: Italians are not so used to snow, and we always look at it as it was the first time! A simple, tiny necklace that's so cute. Grey is always my favorite, even when it comes to flowers! 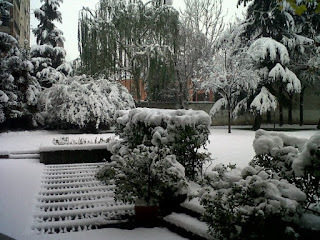 Snow also on Varese! All is white! I love snow! 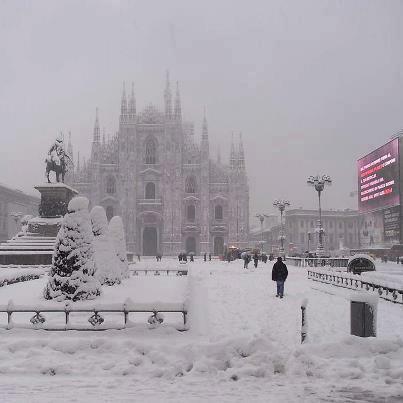 The snow makes everything look nicer ^_^ even Milan! Beautiful! I love gray too! Why beadwork is better: UNIQUENESS! Why beadwork is better - lightness!